What would happen if you got all the famous Disney princesses together in one room? This is the scene of the new Disney movie, Ralph Breaks the Internet, that everyone is talking about. I was able to see the film last night and it was definitely my favorite part of this hilarious movie! 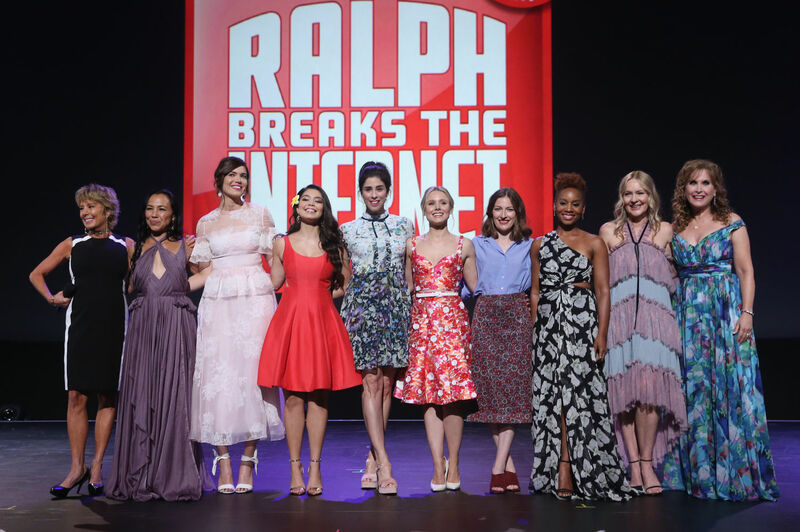 A couple of months ago, I attended the press day of Ralph Breaks the Internet. I was able to get the inside scoop from the creative forces responsible for getting Snow White, Rapunzel and all their other friends together in one scene. I learned about all the research, design challenges and how this scene came to be. 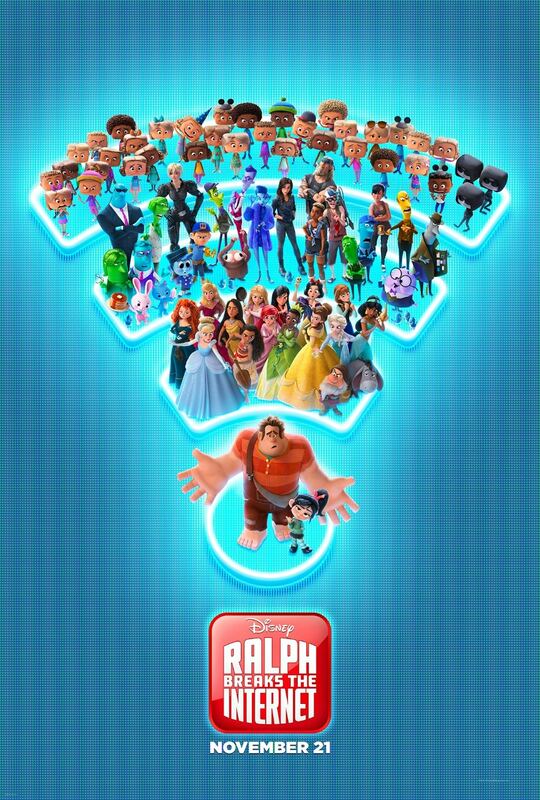 A huge thank you to Disney for flying me to LA for the Ralph Breaks the Internet Press Event. 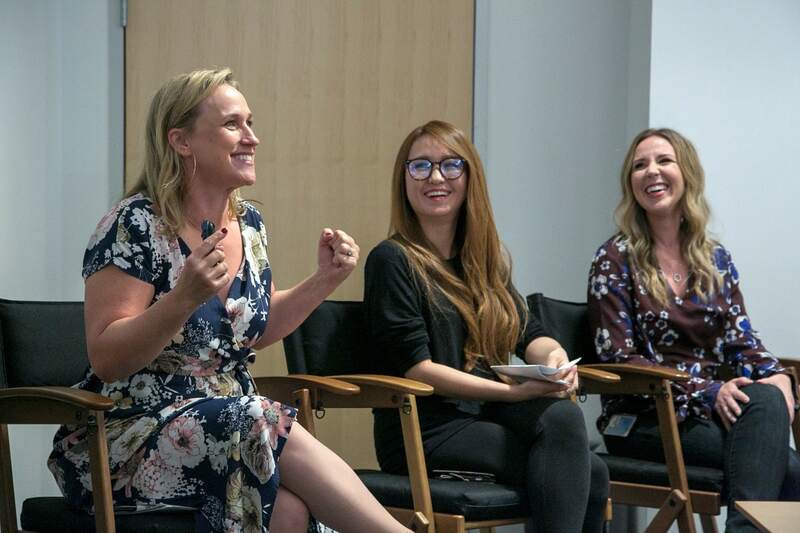 It has been a few months since we sat down with Co-writer Pamela Ribon, Ami Thompson (Art Director, characters) and Kira Lehtomaki (Head of Animation) as they talked about bringing the Disney princesses back to life in the newest Disney Animated film, Ralph Breaks the Internet. This seems to be everyone’s favorite scene in the film. It was just so wacky to be able to see our beloved princesses in a whole new way! I think when you see the entire scene you will also be impressed! So, how did this idea get started? Writer Pam Ribon, Art Director, Characters Ami Thompson and Head of Animation Kira Lehtomaki. ©2018 Disney. All Rights Reserved. Pamela Ribon (co-writer) thought up this ingenious scene when she was thinking about Vanellope, the films favorite pint-sized protagonist and fellow princess. Ribon thought that Vanellope was her type of princess because she wears hoodies and is so comfy. She wondered what it would be like for her to meet the other princesses. She imagined that the other princesses would ask her “What kind of princess are you?” because she looked so different. She wrote the first draft, but when she was done she almost had a panic attack. She thought that there was no way this would ever get made. When she originally pitched the idea everyone wondered if they could get away with this, and thankfully the answer was YES! In the end, the final version was almost identical to the first draft! All 14 princesses are in this scene. In making the scene Ami Thompson (Art Director – Characters) told us that there were some interesting obstacles to overcome. For instance, some of the older princesses needed to be transformed from their original 2D shapes into a more modern version look for the film. How would Snow White look in a current Disney Animated movie? Fun Fact… Pamela Ribon ended up being the voice of Snow White! 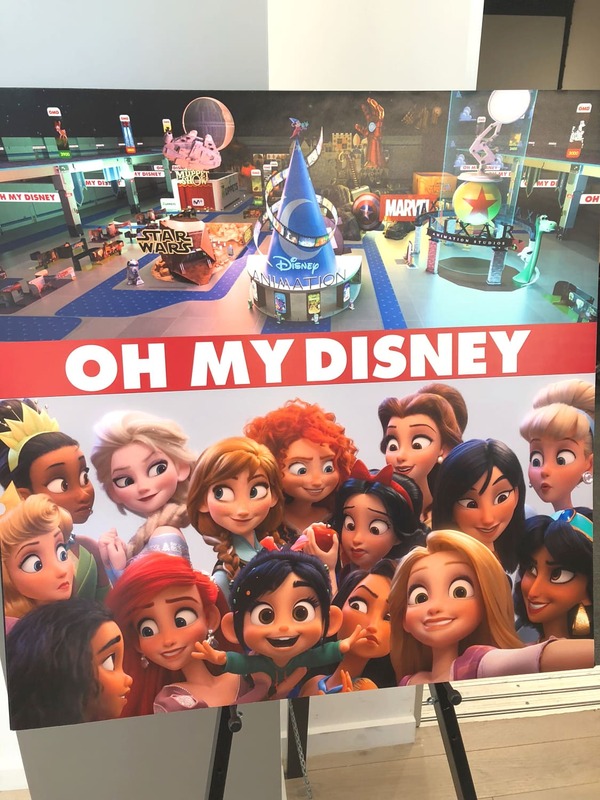 I think they did a great job updating these princesses while keeping the keeping the integrity of their original films. The “Oh My Disney” princess scene also gave them the opportunity to create fun “comfy” looks for all the princesses. Ami told us that “Every great movie has a makeover!” and it was very important to her to create modern styles for these princesses that still reflected their original stories. They came up with some amazing designs with shirts, flannels and even some Chopper-style tees. 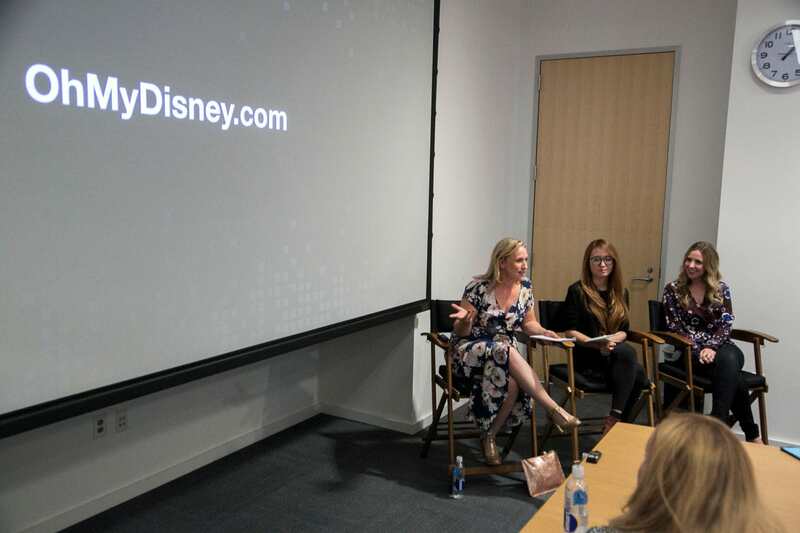 Kira Lehtomaki – Head of Animation talked to us about her “fangirl” moment when she brought in the original princesses into voice these characters. She learned a lot about their mannerisms from these women and was able to animate the new CG versions of these princesses. The research to get these new princesses to be as authentic as possible didn’t stop there. They also consulted with Mark Henn (Legendary Disney Supervising Animator) who had worked on many of the original princess movies. He was able to give them notes about what each princess would do with their hair or facial features. He was a wealth of information and insights that they hadn’t even thought about! I hope you go and see the film this weekend for yourself and enjoy this amazing princess scene. I think you will enjoy it! If you missed my interview with the director, writer and producers of Ralph Breaks the Internet be sure to check it out as well as my behind the scenes look at the film with the animators, set designers, and story designers.